One of the most common hesitations that I see with businesses looking to engage in social media is the realization that conversations are happening all around and that they have no control. This isn't a choice ("We should really let go of control") it's a fact and it's been the case for a long time. But, until now they have been largely undocumented, un-indexed by search engines and not in any way facilitated by the company itself. The conversationalists were only as influential as their personal network allowed. Step in to the social media revolution and that has all changed. Micro influencers have the power to reach millions of people around the world. Blogs and other social media outlets are indexed in search results right alongside company websites and portals. The truth hurts, but it's not necessarily a bad thing. Where social media shines brighter than any other marketing vehicle is leveraging the truth to create stronger customer relationships and convert bad experiences into great ones. Is this for everybody? No. Companies who don't listen to people in the first place have no place in social media. You know who they are. Companies that have a phone system that bounces you around 15 times and makes you stay on hold listening to some Michael Bolton song 25 times. They have a suggestion box, but never do anything with the information. They have websites that are confusing and provide so little support that you are forced into a forum to find the answer you seek. There are a lot of these companies out there. However, there are a handful of companies that see the value in customer input and take steps to make things better for them. They listen, when you call their 800 number you talk to a person and, even if they don't solve your problem, you walk away with a positive feeling. Supporting customer service is a perfect fit for social media, but it takes planning and strategy to make it pay off. Here are steps that I see from listening through becoming a social customer service expert. Listen - I've said it before and I'll say it again. If you do nothing else after reading this post, go to Google and set up alert emails with your company keyword, your name and your URL. Keep these searches fresh. Learn who is talking about you, what they're saying and create an action plan based on what you're reading. Once you are fully committed, start reaching out to customers (happy and, most importantly, not happy) and join in. Analyze each medium - Every tool is different and this is another place where marketers can go wrong. Blogging is not Twitter is not Flickr is not Facebook. The rules change from one to the other and you have to know what they are before engaging. How do people get value in each network and how can you add to it? Conduct mock trials - I am not talking about 8th grade government class, but there is benefit to walking through different scenarios before jumping in. Imagine you create a Twitter account. What would you say each day? How will you add friends? How will you stay on top of replies and direct messages? How will you add value? How will you respond to criticism? How will you communicate in a crisis? These are all points that need to be discussed and can be done sitting around a table and talking. Start slow - Do NOT go out and sign up for a Facebook page, Twitter account, blog, flickr profile and Pinterest all in one day. 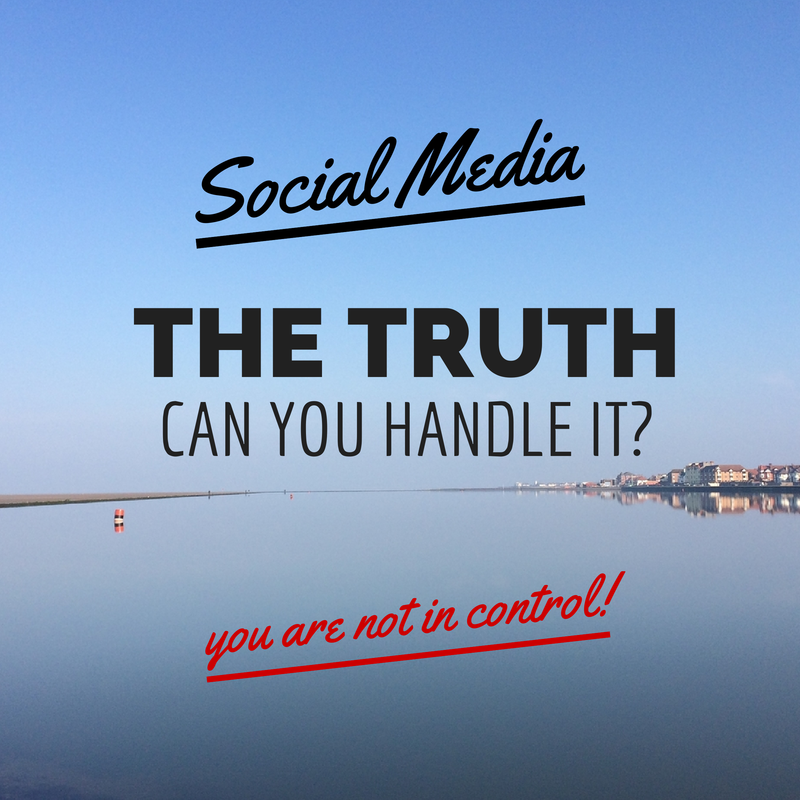 Social media burnout is for content creators as well as content consumers. Pick the most strategic medium to belong to and start slow. As you become more comfortable you can ramp up and add networks into the fold. Any additions should compliment your effort and be on strategy. Be transparent - This is a no-brainer, but it's surprisingly tricky. You need to decide where your conflicts occur, how you'll deal with them and how you introduce yourself. I think the mum test works well here. If you wouldn't tell your mum what you're doing, it's not transparent. You cannot be too transparent here. More is better. Don't stop - This is the killer. It's worse than not having started at all. How many companies have you seen start using a tool and later abandon it. How many dead blogs and Twitter accounts litter the information superhighway? Just don't let it be you. Customer service is becoming more and more crucial in this highly networked, searchable world. I've heard a saying that rings true to me in that "your brand is only as strong as your last contact". How many times have you gone in to a store that you love with products you adore and had such a bad experience that you are enraged and swear them off for life? It happens with me quite often. Who have you seen use social media to respond to critics, engage customers and keep the conversation going full force? My example of course would be the national courier company Yodel.